One of my current clients has two adorable kids and they both absolutely love to draw and color...a lot!! They also love to display their artwork on the wall once they've created their masterpieces. I'm currently in the midst of trying to create a good solution to display their artwork in their family room while still maintaining a more formal feeling...we don't want the overall vibe of the family room to be thrown off by a random DIY wall covered in tape and paper. I've been scouring Pinterest for ideas...like you do!, and have gathered some of them here to share with y'all. 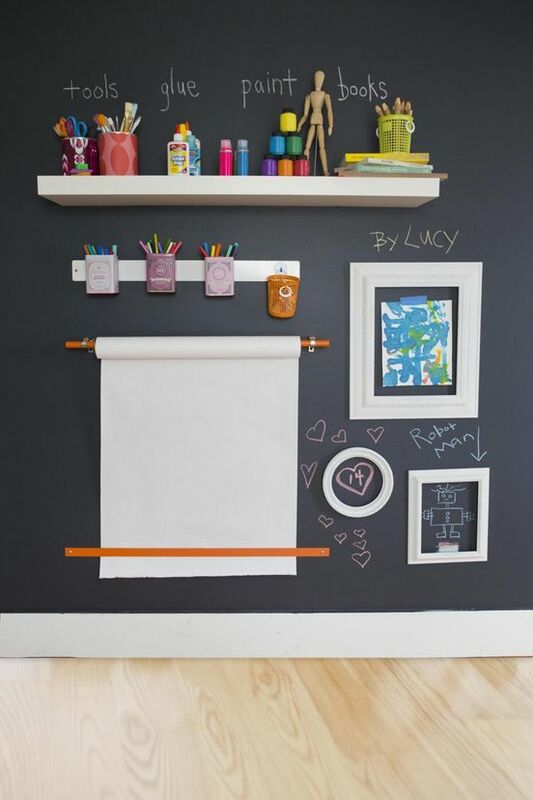 I really like the idea of mixing some of the kids' artwork in with other art to form a gallery wall or layer them on a furniture piece. 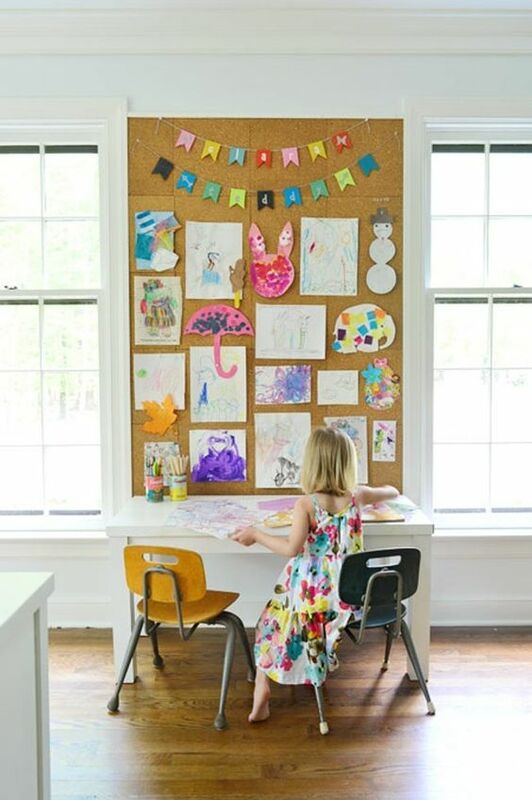 As for an area where they can easily display their most current drawings, the cork board wall seems like a great option! Happy almost Friday friends....the weekend is near!